New and updated Saudi Arabian features improve World Topographic Map. Redlands, California—Farsi GeoTech, the oldest and biggest map provider in Saudi Arabia, has contributed feature data to the World Topographic Map through Esri's Community Maps Program. This contribution improves the quality and quantity of coverage for Saudi Arabia in Esri's World Topographic Map, one of several free basemap services Esri provides through ArcGIS Online. Farsi GeoTech's addition to the World Topographic Map consists of detailed feature and point of interest layers such as administrative boundaries, facilities (including parks and airports), railroads, and parcels. Anyone with an ArcGIS Online account can access the World Topographic Map and other free basemap services for inclusion in their own maps and applications. 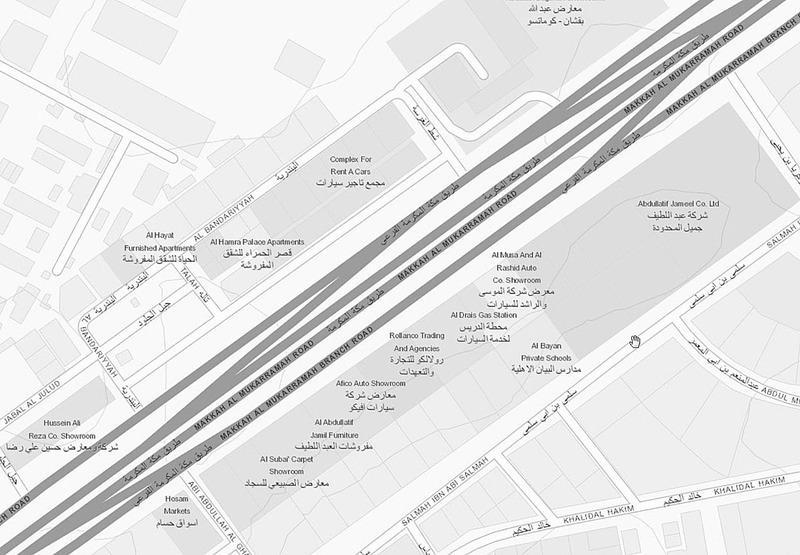 "We are very pleased to include definitive and current map content for Saudi Arabia from the country's premier commercial map provider, Farsi GeoTech," said Donald Cooke, product manager for Esri's Community Maps. "The Community Maps Program constantly strives to engage providers of authoritative spatial content to improve Esri's basemaps." Saudi Arabia joins Kuwait as one of the leading countries in the Middle East to contribute data to the World Topographic Map. Many global providers, such as the United Kingdom, Germany, and Venezuela, have contributed regional content through the Community Maps Program. For more information on how to contribute to the Community Maps Program, visit esri.com/communitymaps. Farsi GeoTech started in 1982 in Jeddah and has branches across Saudi Arabia. Farsi GeoTech creates major GIS projects and geodatabase solutions in government and business. Its detailed digital maps of Saudi Arabia cover 120 cities. Farsi GeoTech also provides surveying and remote sensing services and continues to expand its GIS services to serve its growing customer base. Copyright © 2013 Farsi GeoTech. All rights reserved. Farsi GeoTech trademarks registered by Zaki Farsi Group in Kingdom of Saudi Arabia.